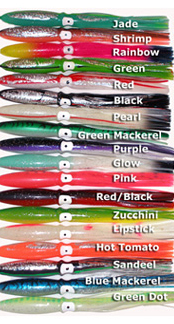 Maverick Tackle is offering a great opportunity to purchase our top quality squid at a fraction above our cost. You can search but will never find top quality squid at these prices. 9 " @ 1.15 each. There is a minimum order of $10.00 and all orders are first come first serve until we have sold out. Click the button below to add the 9" Bulk Tuna Squid to your wish list.